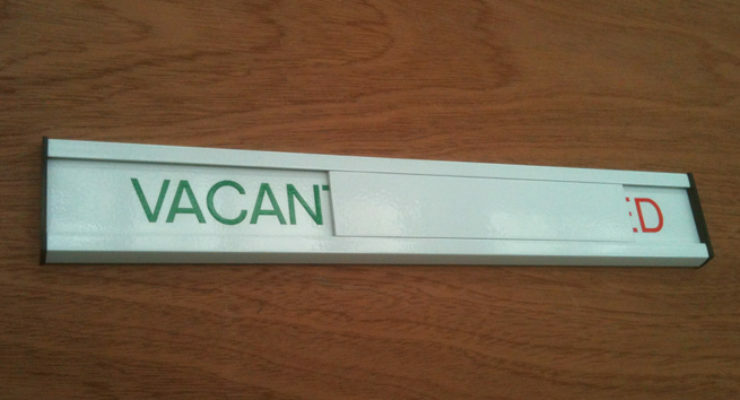 Signage for doors often include nameplates, changeable inserts, engaged / vacant sliders and graphics for visibility panels. 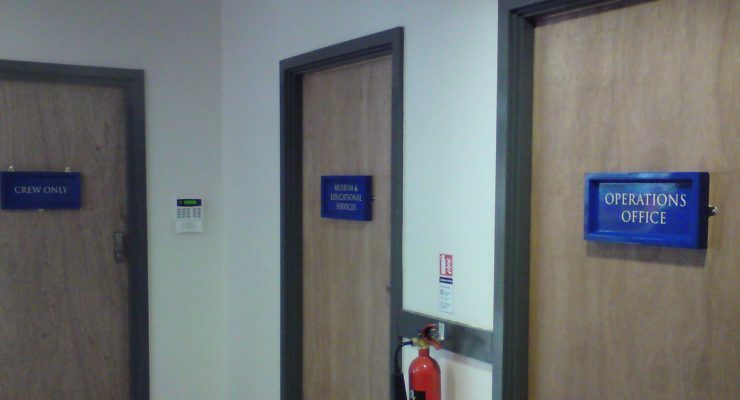 Door signs can be used to describe who / what is in the room behind the door, to indicate whether it is vacant or engaged, and to display health and safety information. 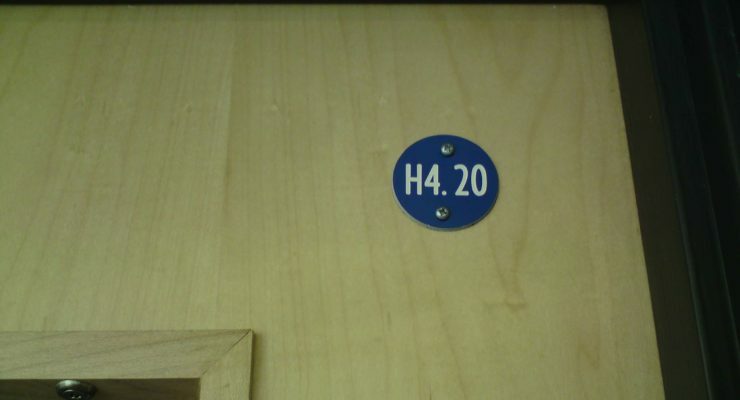 They are needed in large buildings with many similar looking rooms. 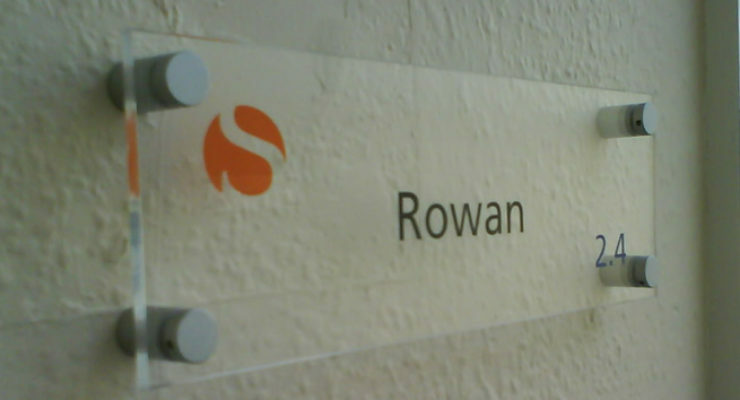 It is usually necessary for door signs to be easy to replace and swap, this is achieved by simple effective fastenings which can be undone if you know how. 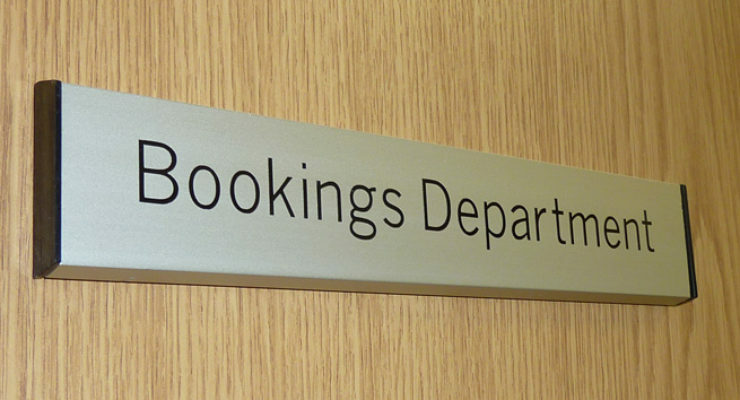 They can also have removable slats with information on (such as staff names) on so that they can be taken from room to room. 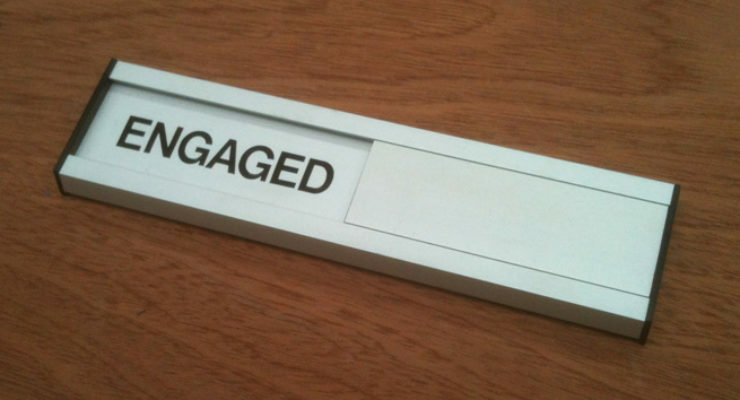 In some cases, door signs need slide-able elements that either cover or expose information on the sign, such as “Vacant” or “Engaged”. 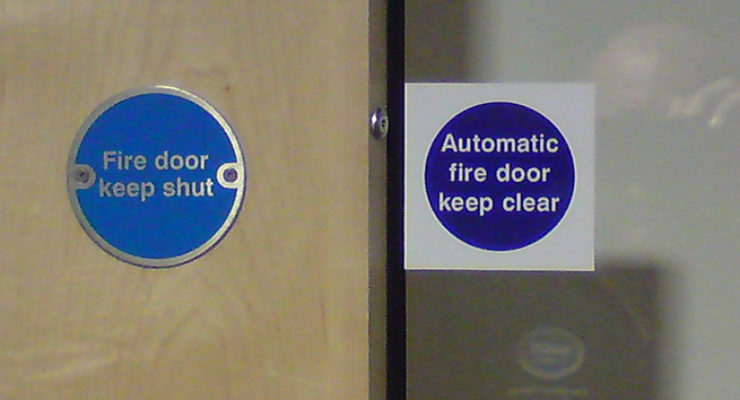 Doors may need to have health and safety or emergency escape information on them (for example “Fire Door Keep Shut”, or “Emergency Exit”). 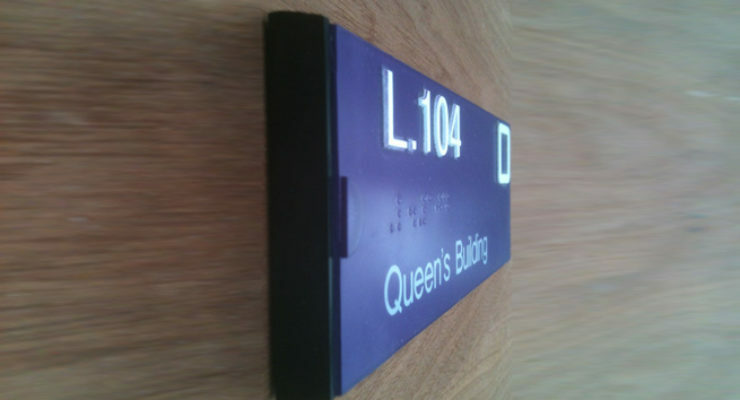 These are usually digitally printed adhesive, or engraved, infilled metal. The window built in the door frame, known as the “vision panel” may be decorated with frosted vinyl or other graphics. 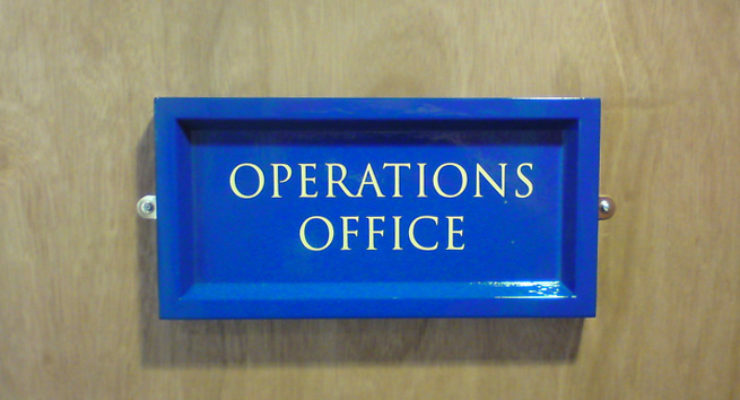 Much more than this though can be accomplished by door signs than merely being informative though, as they can convey the first impression someone has as they enter a room – can give your establishment an air of scale and of being organized, or can make the individual seem important (or even less important!). 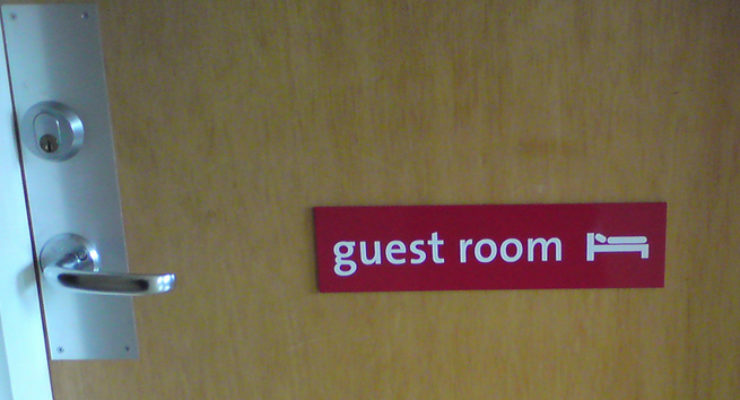 A good example of how door signage can indicate that an establishment is large, official and modern is by use of Tactile Signs. 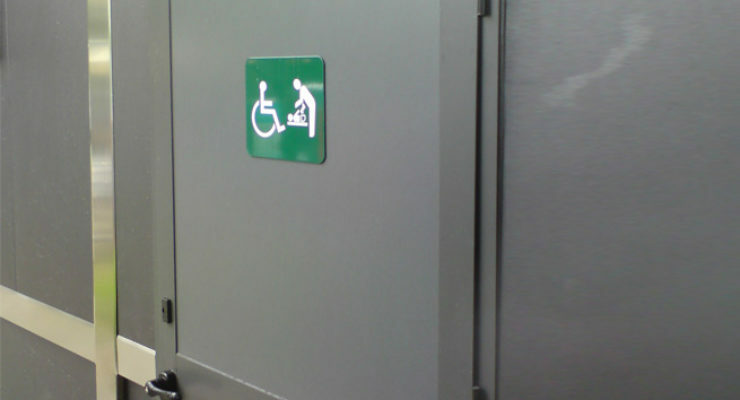 Many organizations now require that door signage be compatible with modern DDA (Disability and Discrimination Act) legislation. 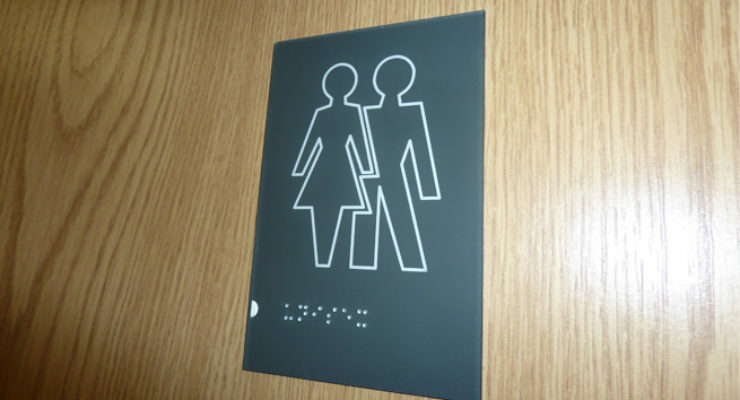 This includes regulations for text size, use of Braille, colour contrast and details being raised so they can be “seen” by touch. 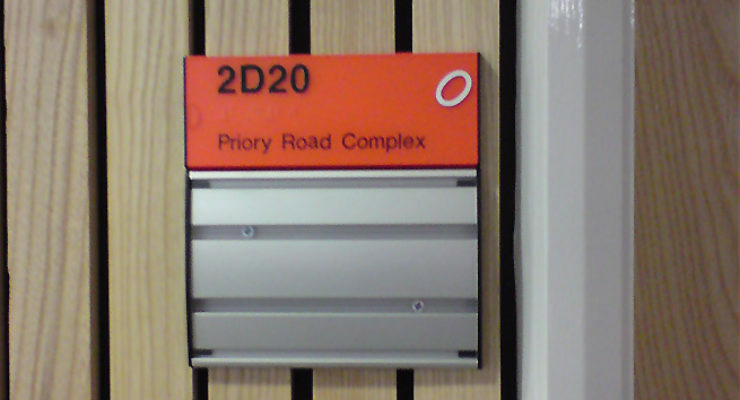 Such signage is reassuring that the company is modern and that it follows current regulations. Read about our external stainless steel lettering and logo installation and tactile internal signage for the National Composites Centre. Frames for holding A5 sheets of paper which can easily be updated by the facilities management. 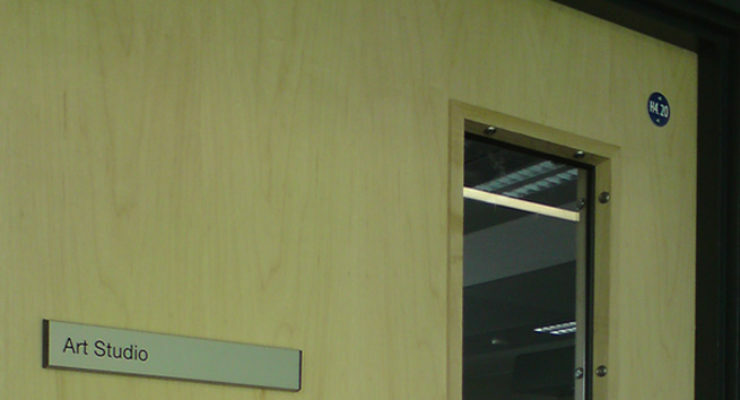 Standard Door Signs - "Slats" found in most educational institutions, offices, hospitals and any large building. Smart, cost-effective and easily replaceable on site.